In a Mechanical Ventilation and Heat Recovery (MVHR) system when stale air leaves your home it travels through a heat exchanger that uses the heat from the outgoing warm air to heat fresh, incoming air being pumped into your home. The air inside our homes is now thought to be eight to ten times more polluted than external air. Homes commonly have extractor fans in kitchens, bathrooms and WC’s but they work by replacing stale warm air with fresh air that is cold, which is very energy inefficient. This means that heat recovery ventilation systems are now being recognised as an attractive and economical option. It is said that MVHR systems are able to reclaim as much as 90% of the heat from warm air leaving a home, giving you a massive energy saving. You could also get part or all of your installation costs covered using a loan from the Green Deal scheme. The loan is paid back through the savings on your energy bills, meaning that you shouldn’t have to spend any additional money to install your system. 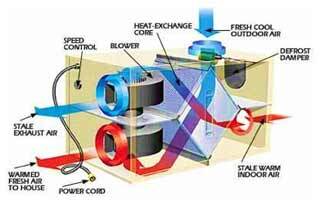 Single Room Heat Recovery Ventilator (SRHRV): This system ventilates a single room. It is usually used in bathrooms and kitchens and can produce quite a lot of noise. The clean incoming air also enters through trickle vents, which may counteract the effects of insulating the rest of your home. Whole house system: This system works by pumping warm polluted air from internal spaces such as the bathroom and kitchen through a heat exchanger using a ducting system. The heat exchanger unit can be positioned in the loft or another out of the way space. The heat from the warm air is absorbed by a refrigerant and then used to heat the incoming cold air being pumped into the house from outside. This heated air is then pumped around the house via the ducting system, delivering fresh, warm air at a minimal energy expense. To be suitable for installing a MVHR system your home needs to be quite airtight. This means that MVHR systems are ideal for use in smaller or newer houses. A MVHR system usually costs around £6,000 to install, however this depends greatly on your home’s individual circumstances. Factors include the system’s size and how easy the ductwork is to install. Having to install ductwork may be more difficult when installing the system in an already built house rather than fitting it into a new build. In addition to the installation costs of around £6,000, how much the system costs to run will vary with a number of factors including how big your house is and how airtight and well insulated it is. MVHR systems are eligible for financing through the government’s Green Deal scheme which provides a loan for part or all of your costs, including the price of the system and installation. The money you save by using the system is then used to pay back the loan through payments on your energy bill. The amount you pay should never be more than the amount you save, meaning that you don’t spend any extra money by having an MHVR system. You will make a bigger saving overall if you pay for the system yourself, however, as interest is included on the payments. For more information on the scheme visit our Green Deal information page. MVHR systems need electricity to pump the air through the system. However, the energy that they extract from the air is greater than the energy that is required to operate them. Heat recovery systems do require some maintenance. This mostly involves balancing and cleaning the system. 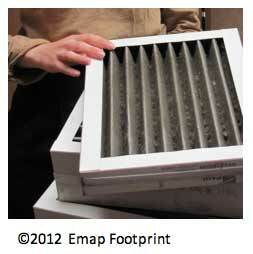 The filters that purify the incoming air will need to be replaced approximately every 3 months. 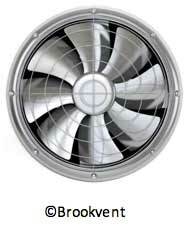 The fan unit should continue to work without any problems for around 15 years. The installation time for MVHR systems is variable and is dependent on a number of things including the size of the system and age of the house. It is ideal to schedule the installation to be carried out at the same time as other building work.